From its establishment, the Institute is the seat of the Yugoslav Scientific Pomological Society. Apart from other activities, in 1967 the Society began to publish the journal Jugoslovensko voćarstvo (Journal of Yugoslav Pomology). 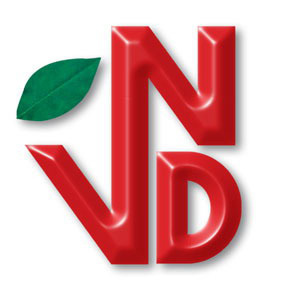 The first Editor in Chief was the engineer Milisav Gavrilović, while the function of the technical editor was done by Dr. Asen Stančević. Members of the first editorial board of the Journal of Yugoslav Pomology were: Eng. Milisav Gavrilovic (Čačak), Dr. Petar Mišić (Čačak), Dragoljub Slović (Novi Sad), Dr. Asen Stančević (Čačak) and Dr. Dušan Stanković (Belgrade). Over the years, the society changed its name to Scientific Pomological Society of Serbia and Montenegro, and after that in its present name Scientific Pomological Society of Serbia. 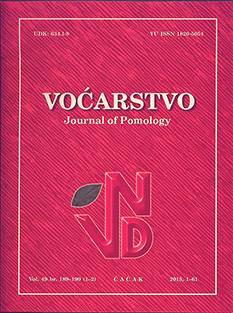 Since 2005, by decision of the Scientific Assembly of the society, journal changed its name to Voćarstvo (Journal of Pomology). President of the Scientific Pomological Society of Serbia is Prof. Dr. Zoran Keserović. Secretary of the Society is Dr. Ivana Glišić.